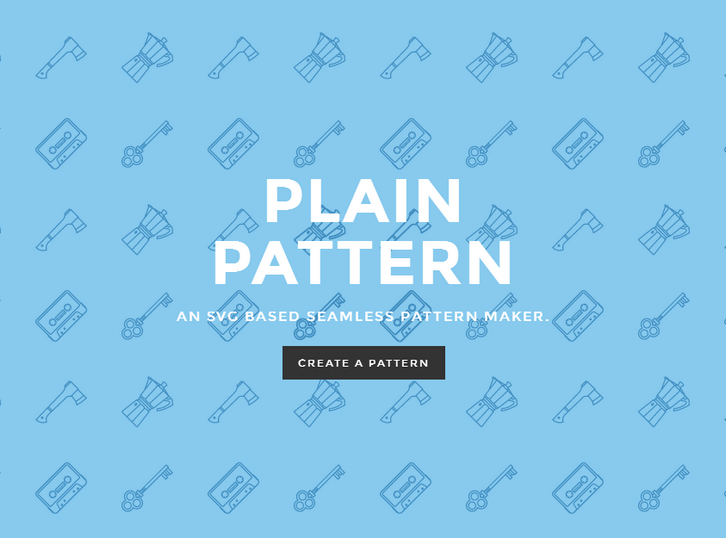 Plain Pattern is An SVG based seamless pattern maker. This is currently a work in progress with more features to be added soon. It has been tested on IE 10/11 and the latest versions of Chrome, Firefox and Safari. Not fully tested yet on iOS and Android devices.